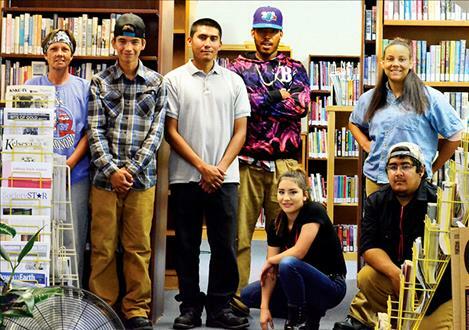 Kicking Horse Job Corps students and staff help with the library remodel. RONAN – The Ronan City Library doors were closed for the past week, although no one was on vacation. “We’ve been moving things around and making it more efficient,” said Dylan Carey, assistant library director. The library basically went through a flip-flop of sorts. Everything in the kid’s section was moved over to the front near the door and the adult section was moved to the back. The move opens up the front of the library, makes the kids more visible to staff, and gives adults a semi-quiet section of the library for reading. The computers are still available in about the same spot, but now two computers will be available for adult use only. Kids often utilize library computers, which library staff said is great, but adults said it was hard for them to get an opportunity to use a computer. The remodeling job involved taking about 25,000 items off the shelves, moving the heavy bookcases, and putting the items back on the shelves. 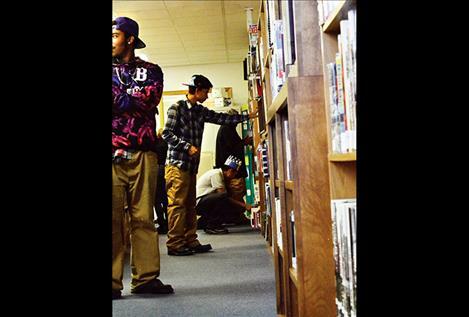 The task would have taken months, but the students at Kicking Horse Job Corps showed up to the library to help including: Joshua Hawley, 19, Ascena McConnell, 16, Keynon Richardson, 19, Dakota Chapoose, 20, and Jeremiah Tsosie, 22. Folks on the staff at the library would like to expand into a new building, but the funding isn’t available. 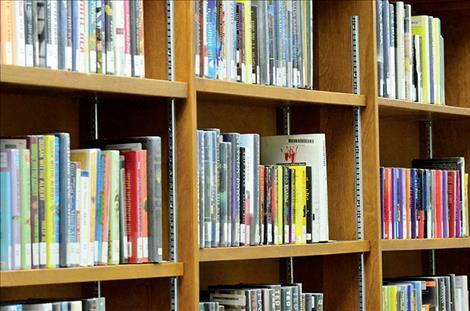 “We’ve outgrown this space, but a new facility isn’t feasible, so we are experimenting with what we have,” said Michelle Fenger, library director.